Climate Code Red: Public ideas leadership on climate? The truth rarely sees the light of day. The idea that more than 1.5 degrees Celsius of warming is already locked into the system without geo-engineering would be a shock to most participants in public debate and policy, judging from the warm and fuzzy afterglow from the Paris conference's vague commitment in words to 1.5 degrees Celsius (though in deeds the outcome was 3.5 degrees Celsius) and the widespread opposition to geo-enginerring within the climate justice movement. The same is true of harsh political truths: how the December 2015 Paris accord locked out a less than two-degree outcome; or that there are no viable solutions within the free-market paradigm in which policy is being constructed; or that we too infrequently have evidence-based policy, and too often have policy-based science. In short, we lack brutally honest public ideas leadership on climate change. 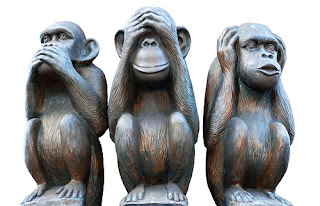 How many figures of public standing in Australia are prepared to consistently canvas the issues discussed here, or in the work of Professors Kevin Anderson, James Hansen and Michael E. Mann, to name but three? In Australia, you could count them on one hand, and have some fingers to spare. Timidness and a relentless bright-siding infuse the public conversation, as if people cannot bear to hear the truth. But what if public is more prepared for the conversation than are our public ideas leaders? Overall, a majority (54%) rated the risk of our way of life ending within the next 100 years at 50% or greater, and a quarter (24%) rated the risk of humans being wiped out at 50% or greater. The responses were relatively uniform across countries, age groups, gender and education level, although statistically significant differences exist. Almost 80% agreed “we need to transform our worldview and way of life if we are to create a better future for the world” (activism). About a half agreed that “the world’s future looks grim so we have to focus on looking after ourselves and those we love” (nihilism), and over a third that “we are facing a final conflict between good and evil in the world” (fundamentalism). The findings offer insight into the willingness of humanity to respond to the challenges identified by scientists and warrant increased consideration in scientific and political debate. So here is the great irony: people have got a fair, intuitive sense of what might be coming, but our ideas leaders can’t talk about it. Now is the time to press those who aspire to leadership on climate issues and action to ask the questions that very few are willing to consider, including many identified as leaders of the climate action movement. If the propositions are contentious, let’s debate them rather than keeping them hidden under a cone of silence. Repressing troubling thoughts does not resolve them, but means only they will come back to haunt us in an increasingly intense manner. We are pushing an ineffectual agenda that obfuscates and ignores climate science and confuses the public debate, partly because doing so advances organizational interests. a brief statement of the problem and scope of a solution, including a sketch of state emissions cuts and carbon banking now required, covering fossil fuels and sectors not now included and chooses, say, 10 specific approaches which would, taken together, make a great leap toward meeting that state goal, including forest sequestration mandates, mandatory passivhaus-level construction standards, a ban on all new fossil fuel infrastructure, 100% transition to renewables, 2-year phaseout of coal-based electrify, and other practical, and necessary objectives. almost overnight rewrite the public narrative and reset the terms of the debate, create a vital, honest model of engagement, see almost immediate returns from our investment in what works, gain national and international attention, and potentially spark similar re-imaginings in other states. Leadership is required to help us face the truth, so that we can address the scale of the problem. If the severity of the problem is not explained to those in power, there is no chance of planning for effective action and of gathering public support. When their leaders show they understand the problem and its implications for people’s lives, and the community see that commensurate action is being taken, this will help people come to terms with the climate reality. begin a process of considering how best to convey the need for large scale transformation to members of the public, so that they are inspired by the possibilities of transformation and reassured that the government recognises the seriousness of the threat. We cannot find answers to difficult challenges if we cannot honestly articulate, to ourselves in the first place, what is the real nature of the problem we face. Until we do, we will not begin solve the climate crisis, and if we never do, we will drive ourselves to a collective insanity.